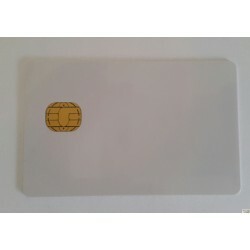 CARDS IAS ECC DUAL ID ONE COSMO : For all applications for identity, security. Based on public key infrastructure & is deployed by the administrative authorities in Europe. 100% Compliant with IAS ECC. Meets the requirements of the French administration (details "General Repository for Interoperability" & "General Reference Security") & the European Citizen Card standard.